Please let us know! We will do everything possible to beat the price. 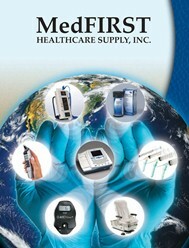 If you find a better price than MedFIRSTonline, please let us know by simply calling 352.242.0110 Ext. 11 or E-mail Kristen at medfirst.biz. You will need to provide us with a copy of the current advertisement or written quotation with the lower price. *Please note, once your order status is being processed we can no longer apply the low price guarantee. We also reserve the right not to sell products below cost.